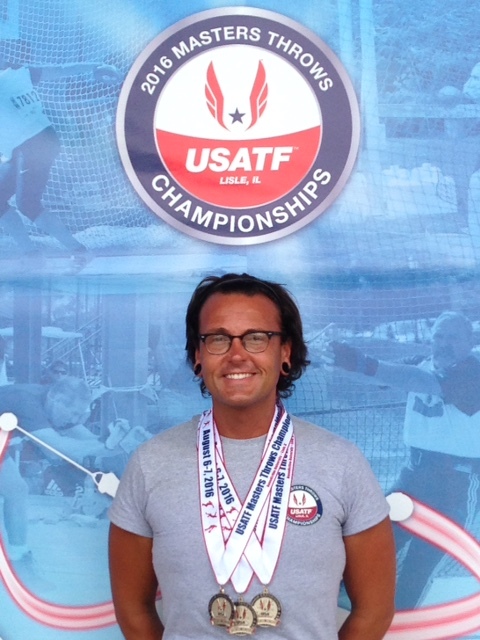 The USA Track & Field Masters Throws Championship was held at Benedictine University in Lisle, Illinois - USA. 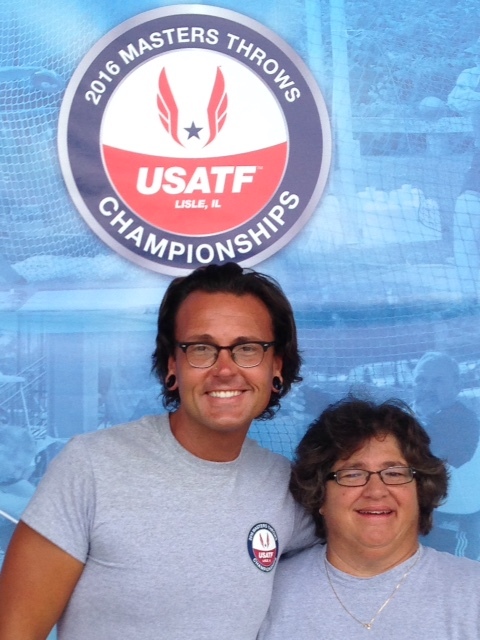 I meet fellow thrower Sue Hallen at the USAT&F Masters Outdoor Championships 2016. She encouraged me to participate in the throws event and was an impressive thrower to watch. 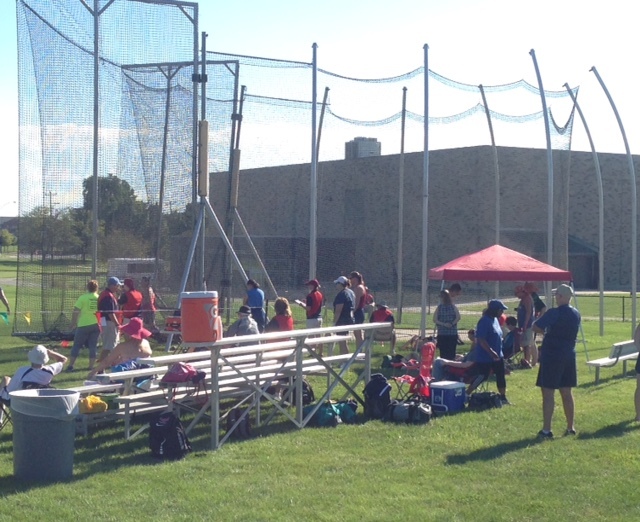 The Throws Pentathlon consists of hammer throw, shot put, discus, javelin and ultra weight. I have competed in most of these events individually but never as a Pentathlon. My age grouping started last and it was a long, sunny and hot day! The last part of my groups flight was throwing a 15.88kg or 35lb metal ball. Those last three throws felt like the last .02 miles of a marathon. 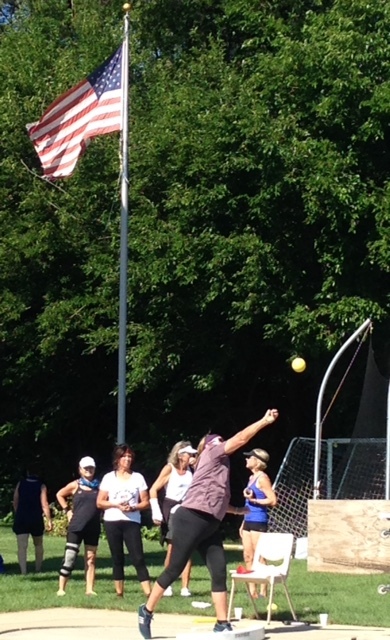 The Superweight Pentathlon consisted of throwing a 35lb and 56lb ball like a hammer throw implement. 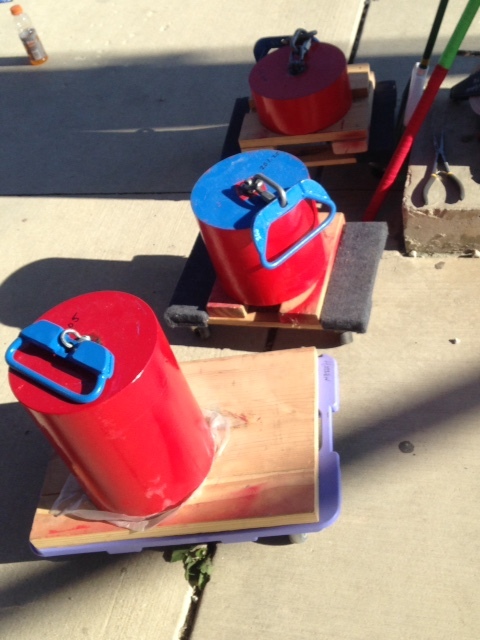 Participants get 3 throws per weight. 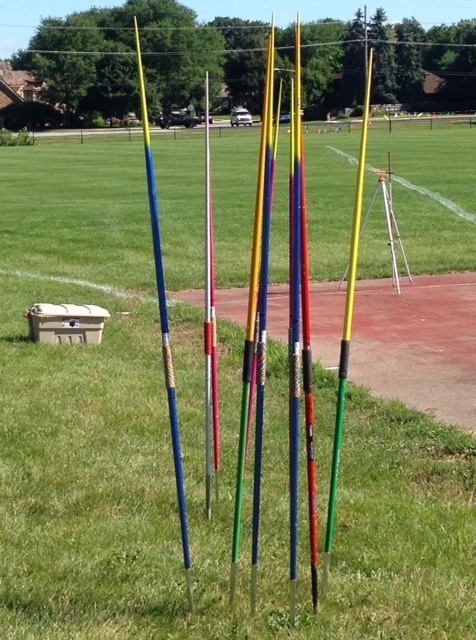 The Ultraweight Pentathlon consisted of throwing a 98lb, 200lb, and 300lb implement. 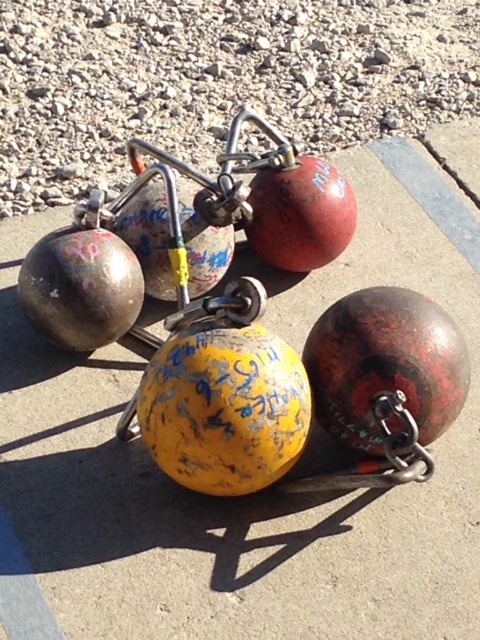 Some athletes tried throwing the 98lb implement like a hammer throw. Honestly I just did my best. 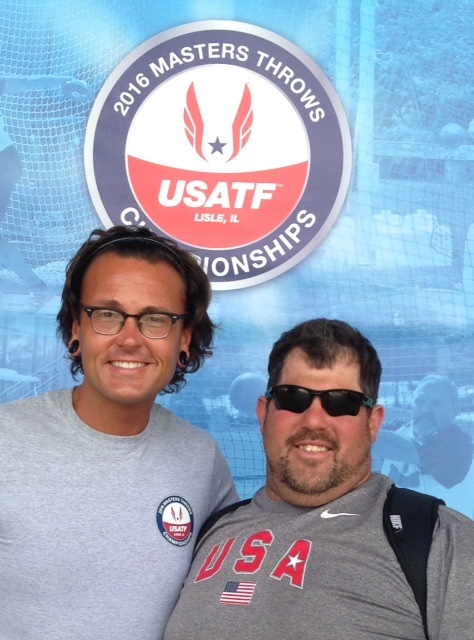 Anything I threw during the Ultraweight Pentathlon that day was a personal record. These games are too much fun but it requires many strength and power too. Good to see that many people are participating and having fun too. Sometimes you need a companion on your side to push you and to motivate you to do things you always wanted to. Just it happened in your case. Congratulations!